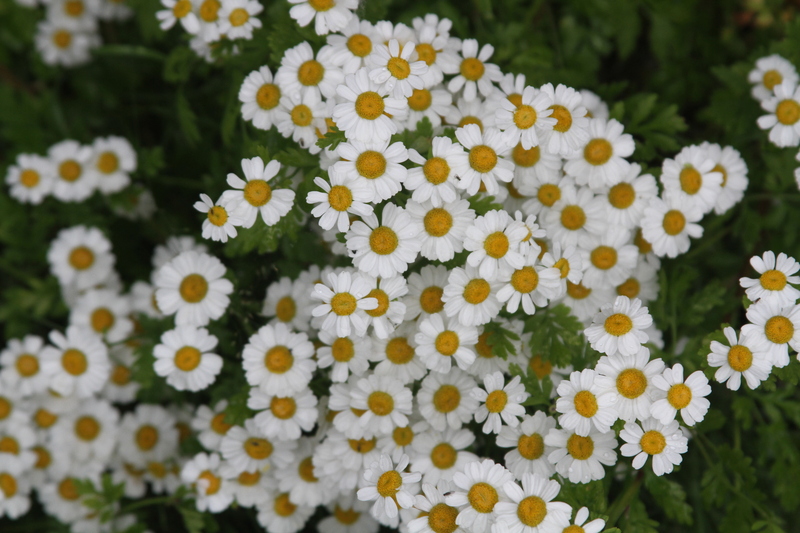 Feverfew is a well-known herb used to help prevent migraines. It is antispasmodic and helps with fevers and worms. Be warned though, it looks very much like chamomile but it is very bitter.